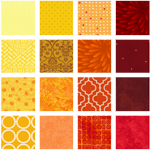 Each month you'll get a free fabric collection to add to your EQ8, EQ7, or EQ Mini Fabric Library. Click "How to install" below for help. Want to add more fabrics to your EQ8, EQ7, or EQ Mini? 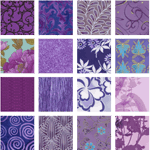 Download EQ Stash Online for the newest fabric collections from top manufacturers! 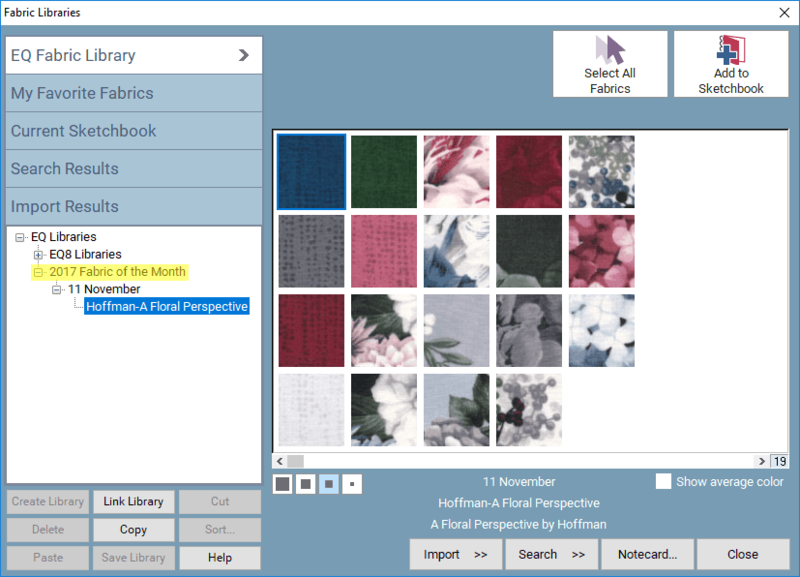 Click the Fabric of the Month logo to download and install the collection. Click the Share button to tell your friends about it! If you need help downloading, click here. 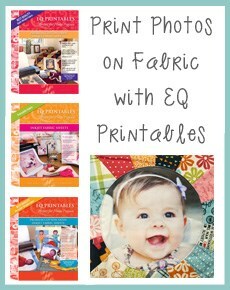 Add Hoffman fabrics to your EQ! Download the My Back Porch collection by Janet Nesbitt of Henry Glass & Co! 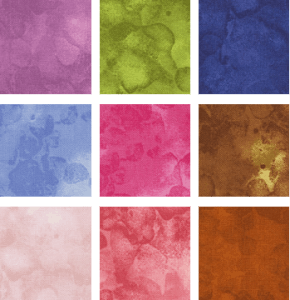 Download the Fiesta Fun collection by Dana Willard of Art Gallery Fabrics! 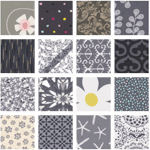 New fabrics from Michael Miller! 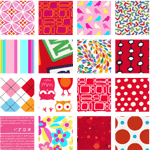 New Fabrics by Kathy Doughty from FreeSpirit! New Fabrics by Christa Watson from Benartex! New fabrics from Robert Kaufman! Download Here Comes the Fun! February 2011: How’s Your History?